It takes a special kind of musical taste to enjoy ambient music. It is a style of music that is varied and often misunderstood. Ambient music splits into two major sub genres called electronic and drone. It can be a difficult genre to get into due to the almost exclusive down-tempo nature of the music. Without giving you the lecture on the ins and outs of ambient music (I am certainly no expert), let me briefly talk about the music of Pulsar Wind Nebula. This artists has perhaps the coolest name in all of ambient electronica. I'm a huge space nut, so I geek out when a band or artist chooses to name themselves after something spacey. Now I need to go read up on exactly what a Pulsar Wind Nebula is. This artist does not stray much from what the name implies. The music is slow, spaced-out and introspective. It incorporates lush instrumentals along with beautiful melodies and atmospheres. This album uses odd time signatures with some super funky electronic beats and samples to create an out-of-this-world aura. The melodies are surprisingly simple and easy to indulge, bringing to mind some post-rock qualities. Somewhere lost in the mix are sparse, low register spoken-word vocals and understated strings that at times remind one of film music. Upon Listening to "Sewn Dystopias" for the first time, I was reminded of some of the spooky undertones present in Mist Glider's latest effort. This was an impressive listening experience, but I feel a word of warning has to accompany this review. This, like most ambient music, can be physically tiring on the senses due to the relaxing calm the music induces. It is also quiet, so it doesn't make good driving music. I found it to be really good, but ease in and out of it and listen in moderation. This album helps in that it is quite short for a down tempo album. Information on this band's origins are sparse, but going off the artist's bandcamp page (which provides us with our stream below) you will see that this artists is from Izmir, Turkey. This makes the first artists in my library from Turkey. Another good thing about this album: It is available as a name-your-price download from bandcamp. Just enter any dollar amount (including 0 if you so choose) and you can download it instantly. 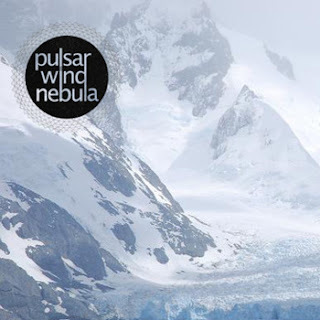 Pulsar Wind Nebula also has another album there entitled "2", which is also available via the 'name your price' option. I recommend June, Miss You, and Wind Chill Factor as standout tracks on this disc. You can check out the entire album stream below. Thanks for reading and enjoy!